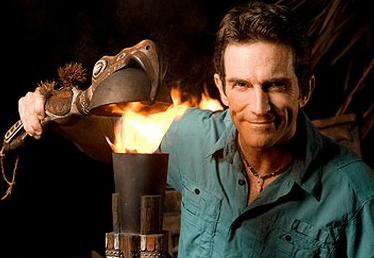 Could Survivor Australia’s torch be lit once more? Uh oh. Both Australian Survivor and Australian Celebrity Survivor failed last decade. But could a local version be revived? Survivor creator Charlie Parsons says a local version of Survivor is a real possibility. “Nothing is set or decided, but there is a real appetite in Australia so I’m really hopeful that there will be a new Australian production and fairly soon,” he told fansite Survivor Oz. Given FremantleMedia is the local license holders for Mark Burnett brands in Australia, it’s a fairly safe guess to presume they are the unnamed production company here. Nine, which holds the rights to the US version in perpetuity, tried a failed Australian Survivor in 2002. Seven subsequently produced a “Celebrity” version, with such star-studded names as Amber Petty, Guy Leech, David Oldfield, Fiona Horne and host Dicko. Sign me up now!!!! I’ve been waiting years for an Aussie one, I couldn’t care Less if it fails, as long as I’m a contestant on there. I can lie, backstab and manipulate people to do anything. The only chance it would have if it was handled by the mob who produced the fantastic Amazing Race Australia. I just don’t have faith in Nine to handle it right, yet the brand doesn’t seem to fit right on Seven. Could Ten market it right? I would be interested to see this! But they would make a good quality version of Survivor not a dodgy cheap lookalike. They way the U.S does it is the original and best way. I do remember Celebrity Survivor tho, that was pretty shocking. we all know Survivor is fake, but that doesn’t mean you have to make it look fake. As long as they did it well from the start (Australian Survivor was good after the merge but it was too little, too late), it’d be a good addition. And US Survivor is nowhere near as good at the moment as it was back when it was a cultural phenomenon, so the bar’s set a little lower right now. I think it’s safe to say that this will be on Channel Ten considering they are only commissioning big, successful US reality formats since the new management has been ushered in. I don’t know why everyone is being so negative. They failed twice, which means I think that 3rd time might be the charm because they can learn from the mistakes of the first two. They just need to give it a good budget, good location, good challenges, a good host and of course…. good casting!!! Cast people who want to play the game and will stir up some drama, not boring people. I really hope it does come back it is one of my favourite shows! And by the way does anyone know when the next season is going to be on in Australia? I’ll always remember when, on the Nine version, they spent 10 minutes or so at an immunity challenge waiting for some rain to stop, then cancelled the challenge because it wouldn’t. Then, another time, someone was voted off unanimously – everyone including herself voted for her. Two bizarre events that can’t occur if the show wants to be taken seriously. Survivor Australia should learn from The Amazing Race – Aussie versions can work if they are taken seriously. Hated the Aussie survivor from what i remember of it. Everyone was way too goody-two-shoes for my liking. Meh, I love Survivor, but the Aussie ones were ordinary. At the time I could hardly believe 7 went ahead with a celebrity version, seeing how their spy in the sky news chopper proved the 9 version was one big con job. Footage was filmed showing the contestants camped in a privately owned field in South Aussie, with the camera crews, buses, trucks along with all the associated equipment camped around 50 to 60 metres away. So much for being isolated in the Australian wilderness. were spending the nights sleeping in the air conditioned caravans that were prevalent.The whole show was a sham. I’d like to see an Aussie version of Survivor again. Why not? I don’t think it will do well & I am a Survivor devotee. Love the US version because they get the casting so right. From what I remember of the Aussie version that was lacking. If it goes ahead I think Nine is the only channel after what Seven did to the Mole. This could work, but it needs to have the appropriate budget to succeed. The Australian version was good but looked cheap by comparison because channel nine just didn’t want to spend the money. Who are these people that have a huge appetite for it? I’ve been a big fan of Survivor since Season 1, watched every season except Season 4, which wasn’t shown in Perth as it coincided with Survivor Australia….I turned off the Australian version in the first episode, when the equipment failed at a challenge and they awarded both tribes a win. I think more people wished for a Mole resurrection (myself included), and we all see how that has failed…9 finally restored some faith in the brand by fasttracking it last season, don’t ruin that bringing in a substandard Australian ripoff. Despite all the criticism of both Australian versions of Survivor I enjoyed them. I would love to see another Aussie version of Survivor. I would like to see it but it has to be great. This is licensed to the Murdoch-owned Shine. Surely the only network executives gullible and desperate enough to pour money down the toilet on a third Australian version of this format from are at Ten? The audience has spoken.